With Great Power Comes Great Results! Superhero games have been hit-or-miss over the years, but we've seen a surge in amazing superhero titles in the past decade or so and Insomniac's Spider-Man is among the best with a lengthy story, incredible audio-visual presentation, and utterly sublime gameplay. The DLC is top-notch as well and is worth its price. 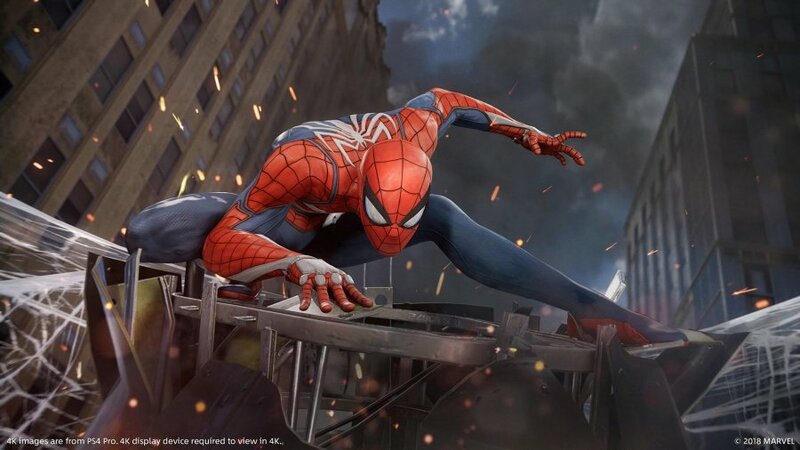 These reasons and more are why Insomniac's take of Marvel's Spider-Man is the second best game released in 2018 in our opinions! What do you think of our choices so far? Also which game are you hoping receives our choice as Game of The Year for 2018? Be sure to check back tomorrow when we publish the next article in this series! I enjoyed this game lol. I'm hoping that Dragon Quest XI wins lol. Red Dead 2 all the way. Monster Hunter World for the win! I second Dragon Quest XI @Aqua Cherry Blossom it's the best jrpg this generation and is somehow even longer than Dragon Quest VII was. Dragon Quest XI deserves the top spot. @GeekyGamerZack To be fair @Reanfan has stated that he isn't a big fan of fighting games before. That very likely effected his decision. @GeekyGamerZack It's as @RWBY_Red says though it was a tough decision. I would still say that Super Smash Bros. Ultimate is number four on my list of top games released in 2018. Just for the record, I can't stand fighting games, either. Ask me which fighting game I think is the best and my answer is "Uh...aren't they all the same?" I guess I was caught off-guard because I didn't realise it was @Reanfan's personal Top 3, and...I guess I felt kind of left out.